Was it theft, or maybe he just decided to do some world traveling? haha! 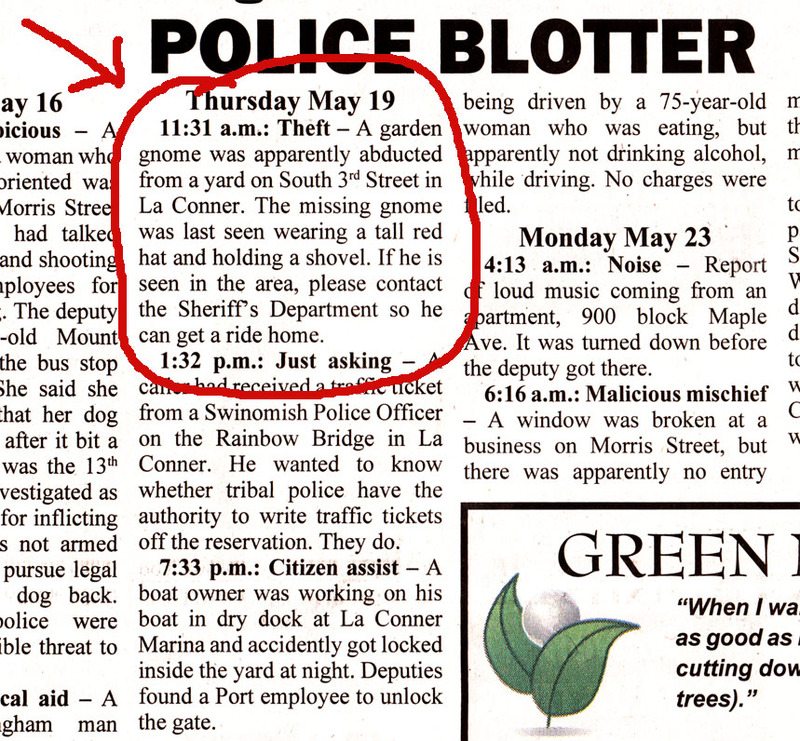 i say good riddance, garden gnomes are creepy! Ha. Dude that is seriously awesome. So glad you pointed that out. Hi Lynn! This is funny. Was it in your paper? I love the way your blouse turned out from the other post. I wish I had a little of your sewing and embroidery talent! Oh no! Poor little guy. 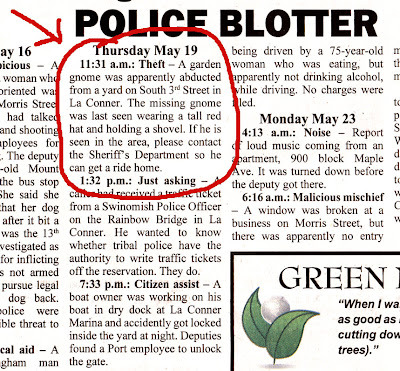 That reminded me of the little gnome commercial for expedia!